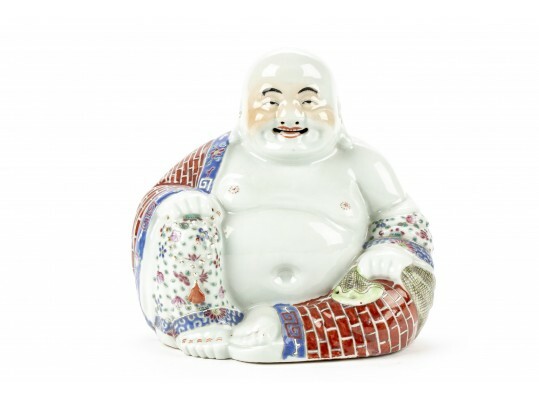 In pale green glaze with a polychrome patterned robe, and holding prayer beads. Stamped relief character mark on the base. H. 10", L. 9 3/4", Depth 6"